Cyprus Securities and Exchange Commission or CySEC was launched in 2001 as an interdependent public corporate body to regulate leveraged foreign exchange transactions and investment services market in the Republic of Cyprus. As of 2004 Cyprus participate in the European Union, therefore CySEC became a respected part of European MiFID regulation. Besides the fact that Cyprus has an ideal location, it is also a tax haven with its lower tax rates, as well significant background in the financial business. In addition, the MiFID harmonization law allows Cyprus registered investment firms and brokerages to access all European markets. In particular, establishing of the Cyprus securities market as one of the safest and attractive investment destinations a significant number of Forex Brokers, as well as vast of Binary Options firms obtained CySEC license and establish their operational offices in Cyprus. Actually, Cyprus is a known hub of Binary Brokers, as many firms found their benefits by the CySEC authorization since most other European jurisdictions and regulators strictly prohibit binary trading. However, the significant move happened by 2012 once the board made an announcement regarding binary options classification and categorize them as a financial instrument. All binary options providers were obliged to restructure offering and clearly state to every customer the highest risk in binary trading as well to operate in a fair way towards the traders. Yet, Cyprus still remains as first and one of the leading trading centers that proclaimed binary options as an investment instrument and gives access to the Eurozone. Considering the essential growth of the industry, CySEC role becoming even more valuable, as authority ensures investor protection and healthy development of the trading offer through its effective supervision of the securities market. Why trade with a CySEC regulated broker? Given the fact that Forex market is an OTC market, which has no specific regulations or jurisdiction, it is necessary to understand who is a trustful broker and who is not, to protect investors, as well to control the market in order to function smoothly. And that is a purpose why responsible Regulators were established by various jurisdictions. 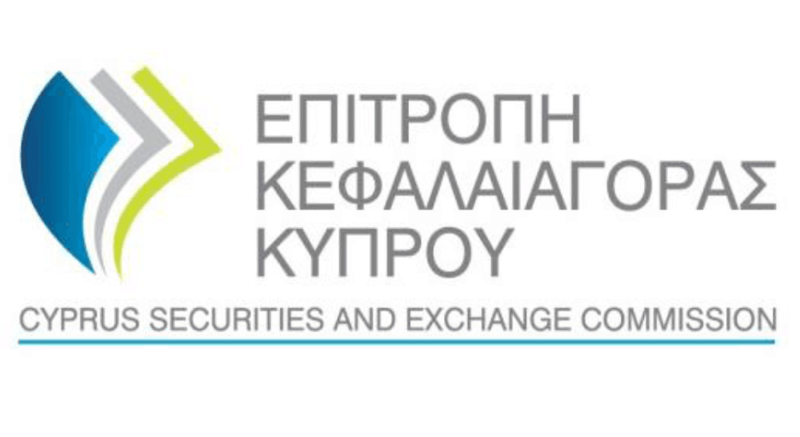 In turn, the responsibilities of CySEC include issuance of licenses to brokers operating in the foreign exchange and stock markets, their subsequent control and audit to ensure compliance with the laws, detection of violations with further imposes of penalties, disciplinary actions or case processing through the state bodies. The grant of license and before any forex company becomes an official CIF (Cyprus Investment Firm) a broker should comply with the set of standards that diverts to the company history and its business model of operation. The CySEC will examine the application while the broker should have a physical office in Cyprus, operate at least for 3 years, to have the specified type of activities and financial service, as well properly enable customer protective tools through a fund segregation, join to schemes and more. The broker should also establish a high operation fund subject and depending on the content of an application, thus the STP applicant capital requirement is at least €200,000, while the Market Maker brokerage model has to confirm its capital adequacy ratio of at least €1 million. Once the broker is official CySEC Regulated Broker the firm then can operate in the stock, forex and CFD markets and what is important mandatory follows all the guidelines set by MiFID (the Markets in Financial Instrument Directive). Besides that, the CySEC continues to work closely with every regulated broker and inspects operation on a daily basis. In recent years, CySEC became a very active authority in terms of inspection of Forex Brokers and suspicious activities, as there were issues and cases in operational history with some of Cyprus regulated brokers. The latest announces were issued for non-compliance with the applicable laws, e.g. include suspend and withdrawal of AnyOption broker and Fenix Capital Markets Trading licenses, or impose for fine of total €130.000 the InstaForex and ForexMart. Therefore, CySEC has been changing its position so now acting more sharp towards the brokers which service does not meet reporting requirements and breach obligatory policy. The imposing of sanctions for violations include announcements of the CIF license withdraws, slapping fines and more frequent check-ups to make sure compliance with new measures. In the scenario and unlikely event that a CySEC regulated Broker goes insolvent, the clients are covered by the Investor Compensation Fund for IF Clients (“ICF”). The purpose of the ICF is to secure the claims of covered clients against the ICF members through the payment of compensation if the necessary preconditions are fulfilled with the maximum amount of compensation up to €20,000 per client. Apart from the main role to regulate and supervise forex brokers, CySEC accurately reviews and amends the new products offering, such as current trends around Cryptocurrencies, Binary Trading, etc. The Cyprus authority when necessary updates investment advice, undertaking training to prevent frauds and financial abuse, including checking issues of money laundering and other threats, as well as educate publicity by regular courses and publications. Even though the Cyprus Securities and Exchange Commission does not have restitution powers and therefore does not investigate individual complaints. If you have a complaint, it is best to first ask the CIF involved to put things right, while CIF’s are required to respond in writing within five days. The traders also recommended to check the issue with the office of the Financial Ombudsman, if not satisfied with the firm’s response, they rejected your complaint or you do not have the answer. The Financial Ombudsman is an independent service for settling disputes between CIF’s and their clients. What is also precisely, the complaints received from clients about unscrupulous brokers or fraud companies will be resolved by the Commissions as soon as possible. At the same time, the CySEC publishes its official listing of warnings, list of non approved domains that help to prevent scams, while the information about unprincipled brokers is open and transferred to other financial regulators. In order to help traders to verify information about CySEC forex broker license, the official website publishes a list of regulated entities. The CySEC broker’s website also displays on the footer or regulation page its CySEC license number, which consists of 5 digits in the format 111/11. As well, you can always check on CySEC Broker Reviews with updates and news from the broker. Currently, Cyprus regulated brokers’ list at our website includes 50 CySEC Regulated Brokers and growing. While in total there are more than 200 investment firms regulated by the Cyprus Securities and Exchange Commission. Of course, CySEC has many potentials to become at the level of a reputable authority like UK’s FCA and implement more strict requirement to set up financial investment or trading company. Yet, Cyprus itself continues its growth and remains a popular Forex Broker destination. In fact, there are much more regulated forex broker in Cyprus rather than any other European or even world jurisdictions. Since the majority of Europe’s Forex brokers regulated by the CySEC, the imposed authority along with the MiFID guidelines and European control establish a strong impact on the industry and of course traders’ protection. The transparent and fair manner of operation acts towards traders as the contractual obligations fulfilled by the regular reporting, along with the constant eye on broker’s operation, as the financial company may impose a risk to have sanctions and penalties, which are actually not that rare among CySEC brokers.